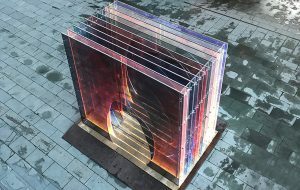 Innermost are very excited to start off the festive season collaborating with Laetitia de Allegri and Matteo Fogale as they re-purpose their Mise-en-abyme installation for the Oxo Tower Wharf on London’s Southbank. Following their installation at the V&A during the London Design Festival 2015, the Oxo Tower offers a new contrasting outdoor location. 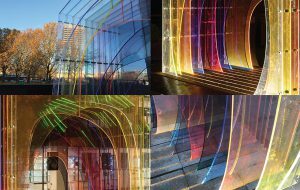 The structure will be illuminated by Innermost’s new flexible linear LED strip to add a new dimension to the already amazing sculpture and bring the installation to life on the cold winter nights. Fascinated by the discovery of one-point perspective during the Renaissance period, the duo have created a landscape of overlapping semi-transparent shapes that plays with the viewers sense of perspective. 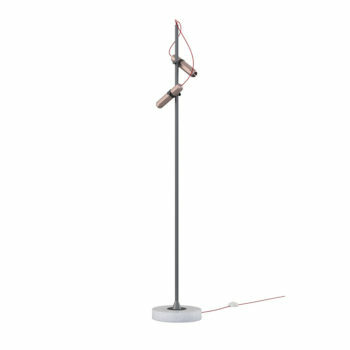 The title of the work is a French term that literally translates as “placed into abyss”, and refers to the experience of walking through the installation. A colourful and immersive ‘landscape’ that creates an illusion of exaggerated depth. 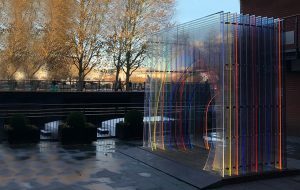 Why not come and see the sculpture for yourself during Oxo Tower’s late opening evening on December 1st – you might even find a hot mulled wine on offer!